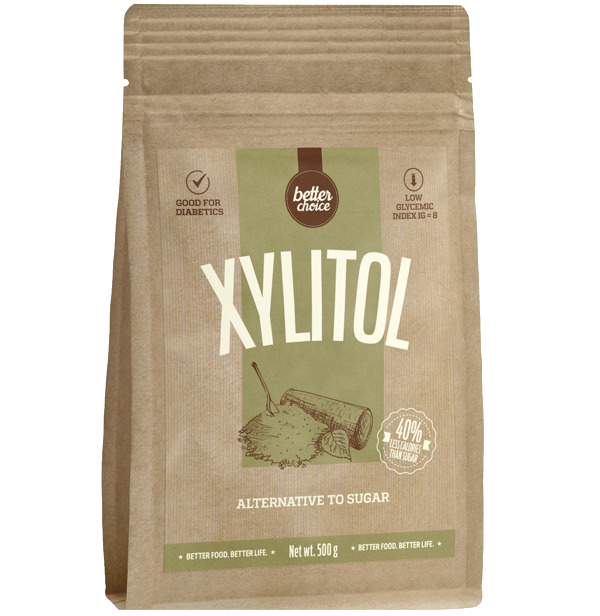 XYLITOL contains a sweetener (xylitol) which resembles sugar in taste and appearance. Xylitol contains 40% less calories compared to sugar. It has a low glycaemic index (IG:8) and can be used by diabetics. Use as an alternative to white sugar. Introduce gradually starting from 1 teaspoon per day. Excessive consumption may produce laxative effects.